A massive distributed-denial-of-service (DDoS) attack hit Europe and it is reported that reached more than 400 Gbps at its peak this week. 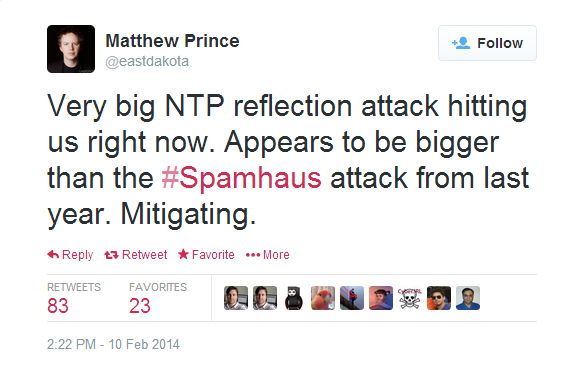 It surpassed its previous record which was on last year’s Spamhaus attack. The first person reported the attack was a victim of DDoS from company CloudFlare which is a content delivery network and security provider. Current week’s DDoS attack exceeded the attack which was held on last March with a 300Gbps surge of traffic hitting spam fighter Spamhaus, CloudFlare, and Internet switching stations in Amsterdam, Frankfurt and London. It was observed that it slowed down some service across the Internet.